Get the OFF TO WORK CD by Sister Jenna. 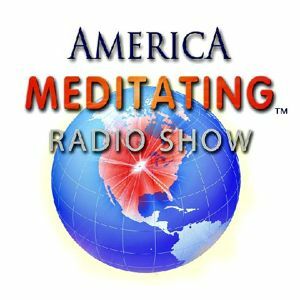 Like America Meditating on FB & Tweet if you're happy Twitter. Molly McCord, M.A., is a bestselling author and modern spiritual teacher with no religious affiliations. Her debut memoir, The Art of Trapeze: One Woman's Journey of Soaring, Surrendering, and Awakening, hit #1 in 2 Amazon categories within 3 days. She is published in The Thought That Changed My Life Forever alongside such luminaries as Dr. Michael Bernard Beckwith, Dr. Joe ... Maggiori informazioni Dispenza, and Dr. Bernie Siegel. The Art of Trapeze is Book One in McCord’s The Awakening Consciousness Series. Also in the series are her books, The Modern Heroine's Journey of Consciousness and The Unlimited Sparks of a Bonfire. Molly's other current published books include Conscious Messages: Spiritual Wisdom and Inspirations For Awakening and Conscious Thoughts: Powerful Affirmations To Connect With Your Soul's Language.